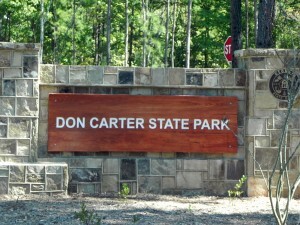 Don Carter State Park, Gainesville, Ga.
Hmmm, what can I say… All black pavement! Really? 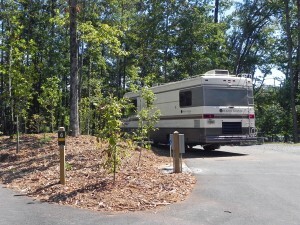 Spaghetti factory of streets, mostly pull through, few level campsites, careful not to drive through someones campsite! Watch for the arrows, they mark the streets!